Betsey Johnson, American fashion designer renowned for feminine and quirky designs, hosted the most dazzling event during Mercedes-Benz Swim Week in Miami this year. Filled with plenty of flare and pink galore, the launch party for her SS2014 swimwear collection was nothing short of fabulous. The inspiration behind her latest collection combined Betsey’s energy and eccentric ability to combine innovative design elements from travel, new trends and ageless discoveries. Elite fashion bloggers, editors and socialites met on the rooftop of the Betsy Hotel (serendipity, right?) which overlooked a gorgeous view of Miami Beach’s sandy beach. “My swimwear is for the young and the forever young! It’s fun and flirty and a little bit rock and roll. I want my girls to feel good in my suits so it’s also all about the fit!”, said Betsey. Guests enjoyed signature “The Johnson” cocktails infused with prickly pear puree, POM pomegranate juice and Russian Standard Vodka. Light bites were passed around as attendees jammed to a live DJ and beautiful models rocked Betsey’s new swimwear collection. 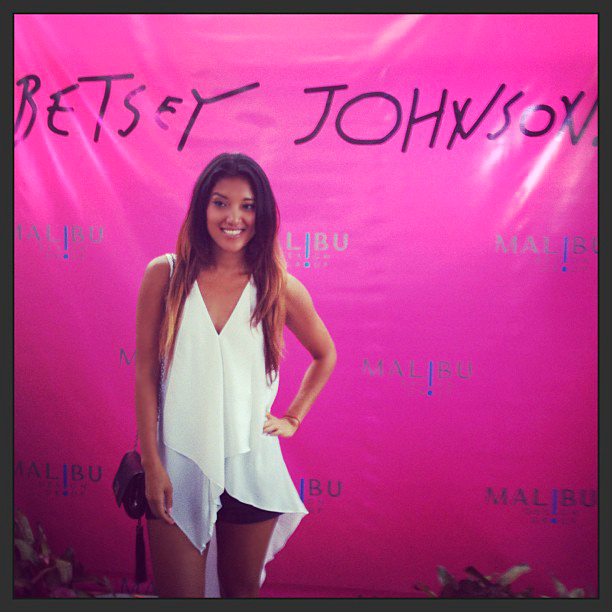 Guests were also delighted with a special announcement that Betsey partnered with Malibu Design Group on this collection. “We are excited to partner with the iconic brand Betsey Johnson. This is a great way to expand our contemporary portfolio and we are honored Betsey is leading us there.” exclaimed Malibu Design Group president Henry Fan. The Betsey Johnson SS14 Swimwear Collection will be available October 2013 at department stores and www.BetseyJohnson.com. Highlighted during Miami Swim Week for a fourth consecutive year, the Lifestyle Retreat Lounge returned for a delightful event filled with pampering for fashion addicts alike. Also known as LRL, the Lifestyle Retreat Lounge was held in the Ballroom of the James Royal Palm Hotel at 1545 Collins Avenue on Saturday and Sunday, July 20th – 21st from 12pm – 5pm. 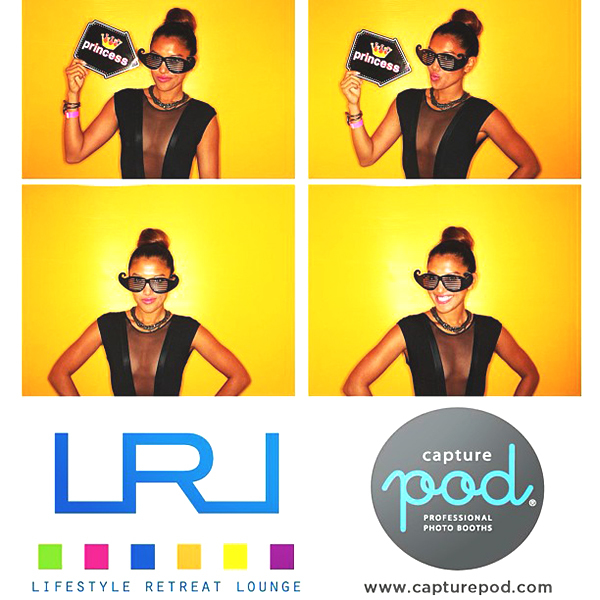 LRL consisted of a range of designer presentations, a pop-up beauty salon sponsored by Safar, a photo booth lounge with quirky props provided by Capture Pod, and on-the-go activations. It was one of those events where I could comfortably spend the entire day at a glamorous lounge full of relaxing activities to partake in. There wasn’t much missing from this Miami Swim Week event! Guests sipped on cocktails provided by Chateau D’Esclans, Fifty Pounds Gin and Vida Tequila, while the Florida Cookery presented a delicious spread of light bites and treats. A few of my favorite experiences were the massages provided by Equinox and complimentary manicures sponsored by LVX nail lacquer. Jay Younger, celebrity nail artist, coated my nails in a tranquil shade of intrepid blue called “Celeste” from the LVX Summer Collection. I also had the chance to stop by Ibiza Passion’s booth to try on their fun and flirty jewelry pieces. Long Hair Don’t Care had plenty of freebies for guests, while Smoothie King served up healthy drinks and gentlemen enjoyed the Monster sponsored ping-pong lounge. As one of the main highlights of the Spring/Summer 2013 runways, metallic clothing is shining with a fresh rendition of new fashion. Combining pastels with leathers and high-shine textures creates a nostalgic effect that leaves an endless fashion statement. I know what you may be thinking – aren’t metallics for space age suits or Sci-fi movies? No. Finding a balance between elegance and a casual relaxed look is key to embracing the metallic trend. Metallics pair well with confidence, a relaxed attitude, feminine pieces, basic black, and bold hues. Silver metallics have a fundamental element that remains classic and adds an extra level of contrast to a variety of looks, reaching cutting-edge levels of polish with a futurist twist .